Legislators, who currently are meeting in Salem, often talk about protecting children. This year, they have a chance to back up those words with action. Oregon lawmakers got a lot of good press 10 years ago, and deservedly so, when they passed one of the nation's first laws aimed at addressing the largely ignored problem of concussions in high school sports. Max's Law, signed by Gov. Ted Kulongoski in 2009, was one of the first laws to require that a health care professional examine any student athlete who suffers a concussion and clear him or her to return to practice and competition. 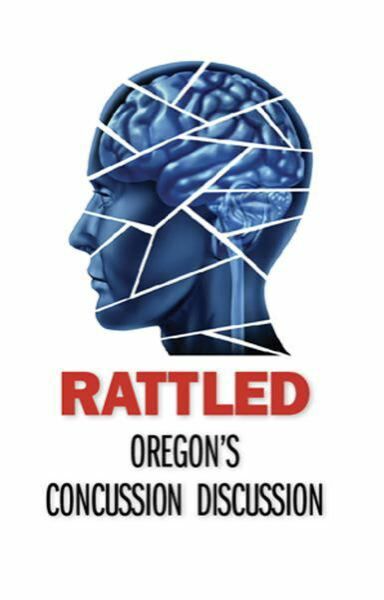 The Return-to-Play legislation, which has been adopted by almost every other state, has saved countless young Oregonians from the devasting effects of an injured brain getting rattled again before it heals. Four years later, lawmakers extended those requirements to some recreational sports outside of schools, through Jenna's Law. Since then, they've mostly hoped for the best. Our reporting over the past 18 months shows that such hope was not only misplaced, but also dangerous. • Enforcement of Max's Law is virtually nonexistent. No state agency tracks whether schools are complying with the Return to Play requirements or even keeping records of their actions. As a result, the Oregon Health Authority can tell you how often girls in Oregon get pregnant (presumably outside school), but has no clue how many student athletes have injured their brains during school-sanctioned events. • We were unable to determine how well most schools are complying with the law because more than half of them refused to turn over redacted Return to Play forms, even though such documents are clearly public records. • Many school records we reviewed were a mess, missing basic information, including what sports the concussed athletes were playing or whether injury occurred in practice or competition. • Enforcement of Jenna's law is even weaker, as it applies only to sports organized by official nonprofits, meaning that the protections aren't guaranteed in sports sponsored by public park districts, for-profit entities and loosely organized youth sporting events. • No one tracks concussions through an athlete's career. By the time he suited up for the Portland State University Vikings, Jonathan Boland had suffered at least three concussions while playing for the Parkrose High School Broncos. That unrecorded legacy caught up to him in college, with devasting effects. • The focus on Return-to-Play protocols in high school has distracted attention from what should be an even more urgent goal: Return-to-Learn strategies. Thanks to Max's Law, a student whose brain gets rattled during a Tuesday night soccer match almost certainly will be held out of Thursday's contest. But she'll be expected to show up for her calculus test Wednesday morning. Oregon lacks a statewide strategy for helping students with brain injuries back to the classroom. That should be a priority for every injured student, whether her concussion came from a school-sanctioned soccer game or a weekend bike accident. Fortunately, while Oregon sat on the sidelines, other states stepped up. Hawaii lawmakers, for example, budget enough money to ensure that every high school has at least two athletic trainers. Our data analysis showed that Oregon schools with athletic trainers are much more likely to report and treat athletes who suffer concussions. And yet, small and rural schools rarely have athletic trainers. We're troubled that students who attend large high schools are safer than those from small schools. Oregon lawmakers should be, too. Similarly, Colorado is far ahead of Oregon in adopting consistent Return-to-Learn protocols for its high school students who suffer brain injuries. Oregon has a great resource in the University of Oregon's Center on Brain Injury Research & Training. But districts are not required to take advantage of the center's Return-to-Learn training for schools. They should be. Finally, Oregon could take the simple step of requiring all school districts to track concussions and Return-to-Play protocols using standardized forms and make those documents available to the state. The data within those reports would go a long way in helping shape policy beyond what's called for here. A decade ago Oregon was a leader in concussion legislation. Now, sadly, it's not even a follower.